The Range Rover Velar’s design philosophy is revolutionary. Striking proportions, flush door handles and an integrated rear spoiler all improve aerodynamics. Features including the foil stamped grille, give the vehicle’s front profile an undeniable presence. From the Sports Command Driving Position, two 10’’ High Definition Touchscreens and optional Head-up Display, to individual sliding armrests and optional configurable mood lighting, every detail has been considered to provide a refined and contemporary driving experience. 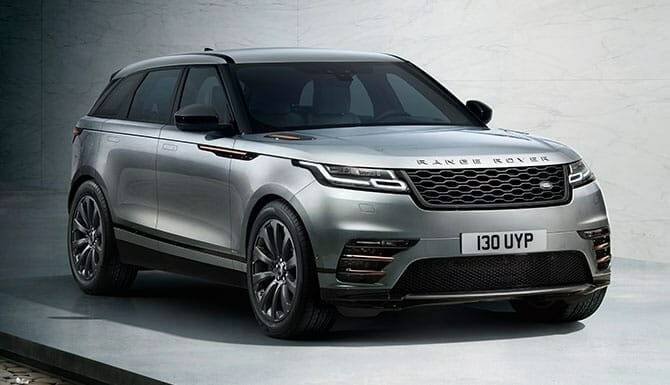 Range Rover Velar’s lead the way in progressive design. They combine the renowned Range Rover floating roof and continuous waistline with a simplicity that exudes confidence and individuality. Distinctive design cues from the front bumper to the rear of the vehicle add greater impact. Clean, elegant and distinctive, the vehicle has a striking, contemporary presence. Wherever you go in a Range Rover Velar, eyes will follow. A bespoke digital system, InControl offers different benefits depending on the package you choose. They include: controlling audio, navigation and phone connectivity with an advanced Touch-screen; enabling you to adjust or check certain functions remotely, such as climate, security and fuel levels; and tracking your vehicle if stolen. A confident, comfortable and truly enjoyable drive. Innovations, such as Adaptive Dynamics and optional Electronic Air Suspension, smooth the bumps to ensure on-road capability and ride quality are enhanced. 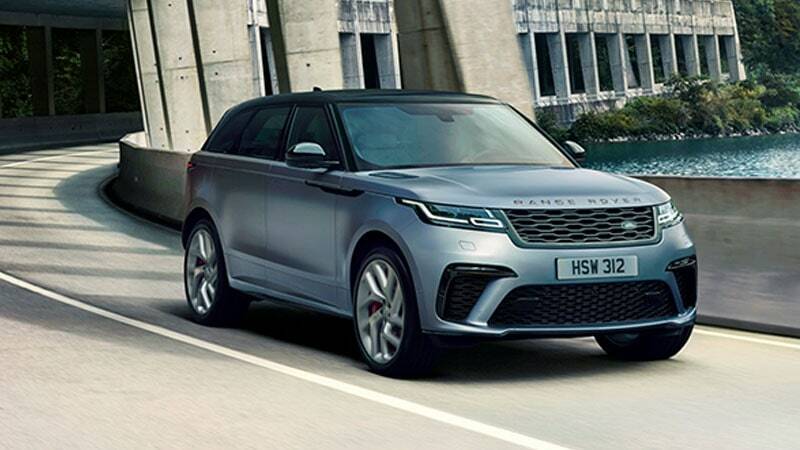 The Range Rover Velar’s handling is agile, responsive and crisp, ensuring cornering is sure-footed and connected. 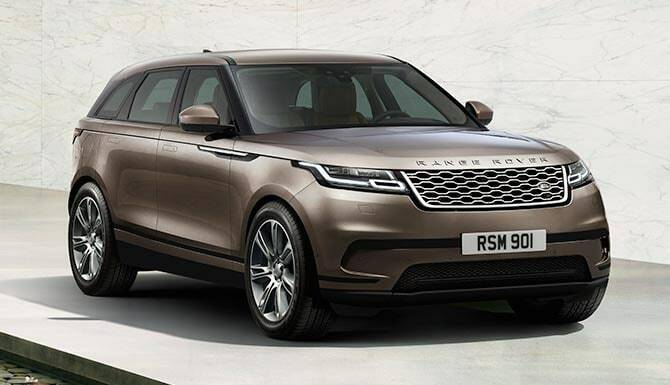 The Range Rover Velar also features Hill Descent Control (HDC) and Terrain Response as standard for confident off-road driving. With up to 251mm ground clearance, 23.5° breakover and 29.5° departure angle, the Range Rover Velar is every millimetre capable. 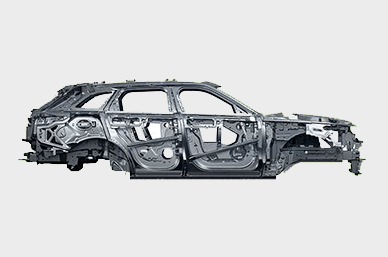 Its smooth underfloor, ensures no snagging and the Active Locking Rear Differential can provide exceptional traction, even on more challenging terrains. The Range Rover Velar can wade in depths of up to 650mm and can tow 2,500kg with ease. 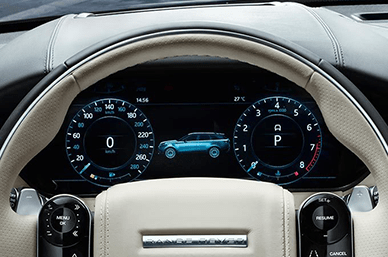 The Velar HSE offers the following features as standard. 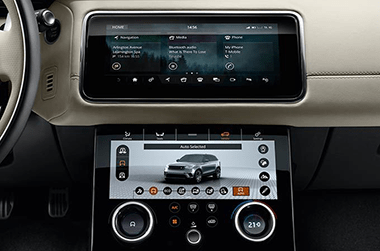 Now you’ve explored Velar’s features and models, find the one for you.